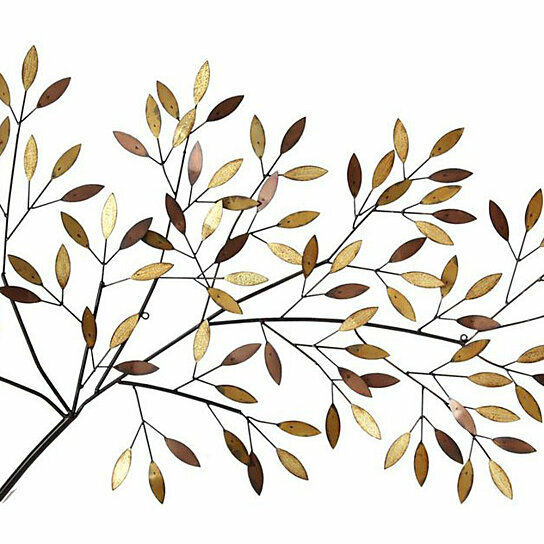 Complete a plain wall in your home with the Stratton Home Decor Blooming Tree Branch Wall Decor. Made from metal with metallic colors, this piece is the perfect way to fill a space in any home. Display it in a glam or transitional home for a cohesive feel. Care instructions: Wipe clean with damp cloth. Material: 100% Metal. Color: Multi.